If you’re anything like me, there is plenty of leftover Halloween candy just days…and sometimes weeks or months after Halloween has actually passed. Now I’m not the person who is really big into candy itself, so luckily I don’t usually dip into the bags and go ape wile on my kids stash. But I do like to turn it into delicious treats afterwards! 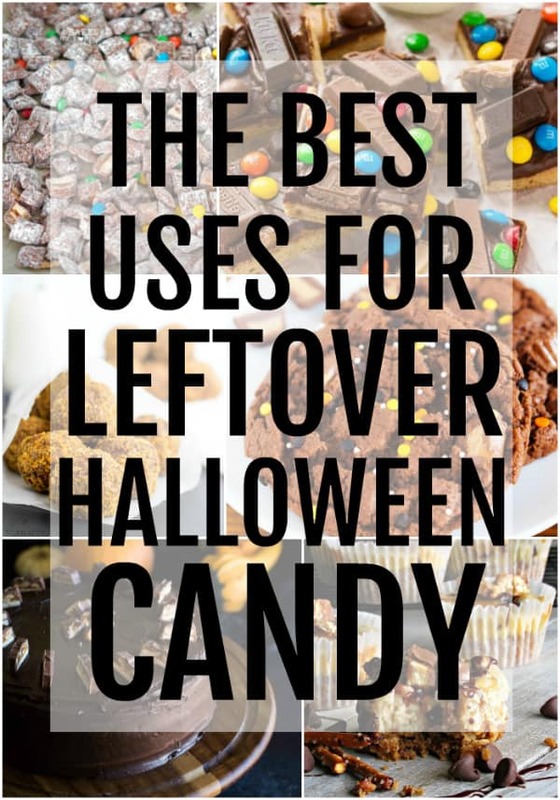 Below I have a delicious compilation of The Best Uses for Leftover Halloween Candy around. 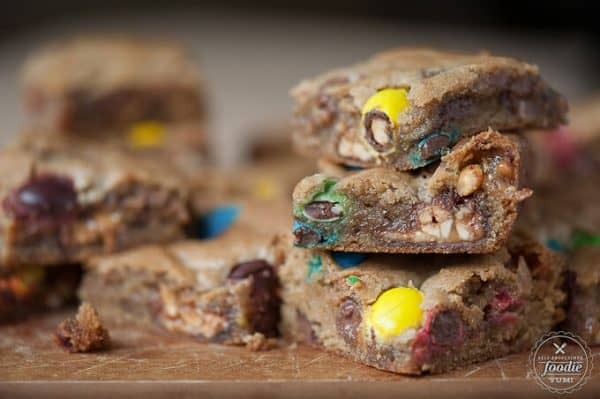 From cakes, to bars to cookies and more there is no stone unturned when it comes to what you can make with all that leftover candy in the bottom of the bags! 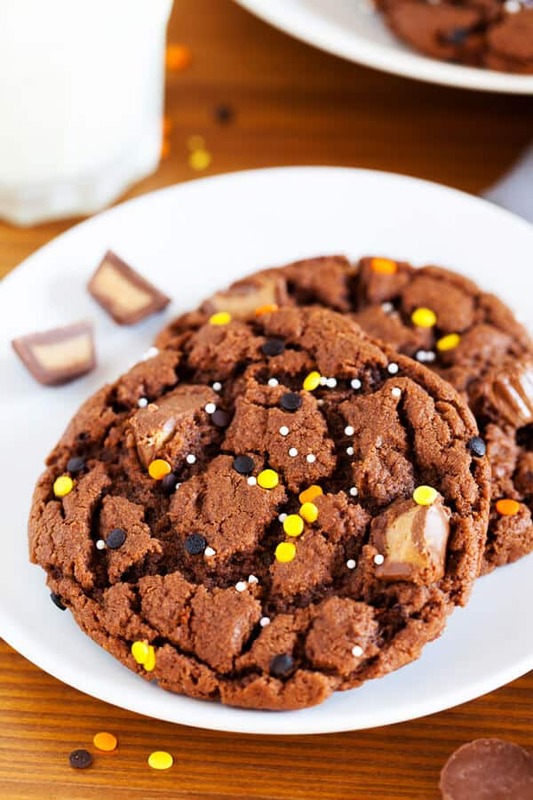 Loads of chocolate and peanut butter mixed together, these cookies are seriously calling your name! 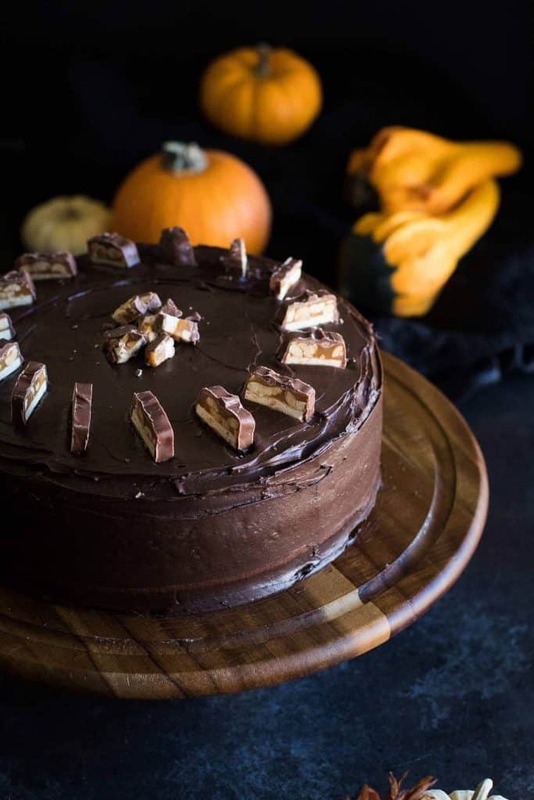 Who doesn’t love a rich decadent cake? 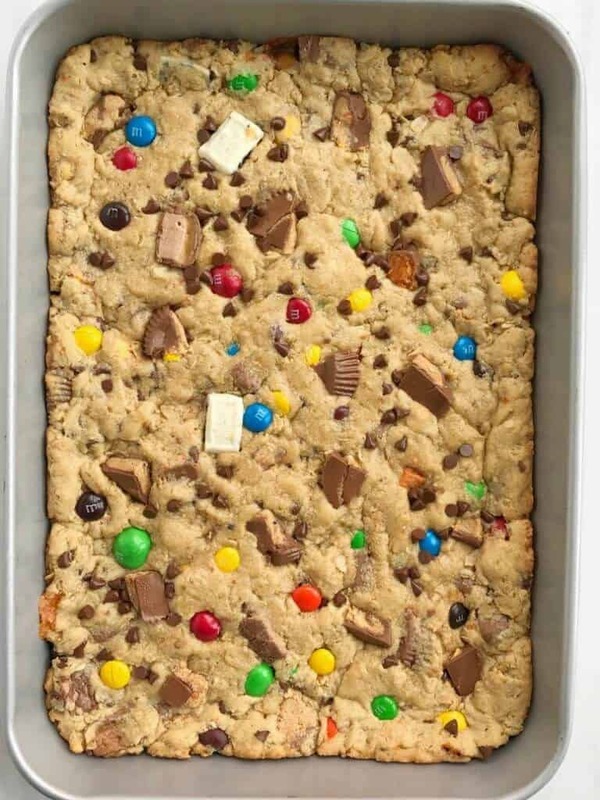 I think I’m running to the kitchen and knowing exactly what I’m making with my leftover Snicker’s bars! 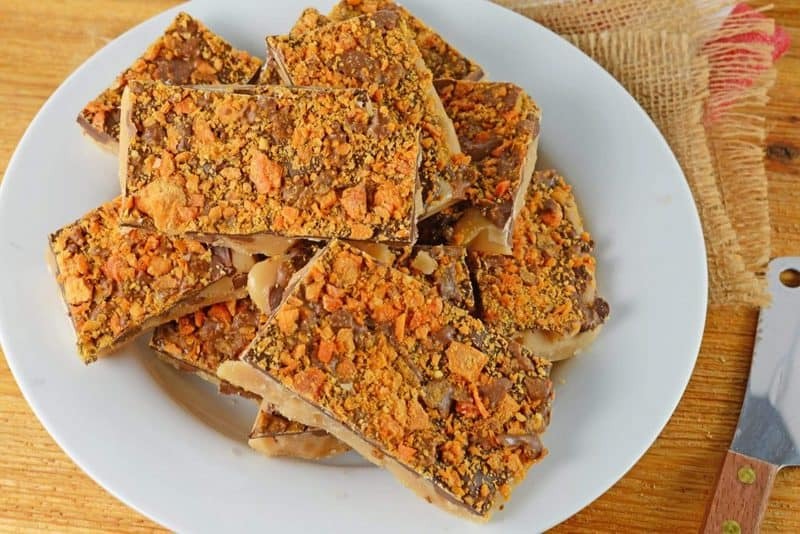 Toffee is an essential Fall treat, but adding Butterfinger’s to the mix seriously puts this over the top! 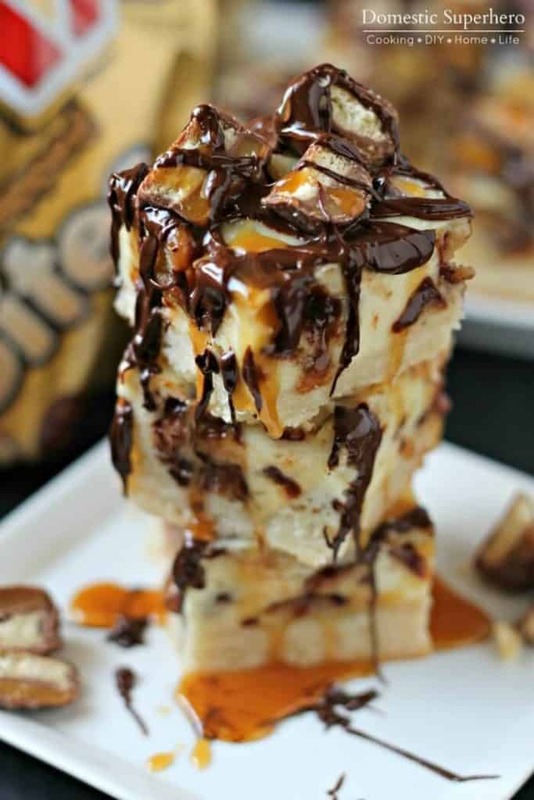 There is no words to describe this delicious caramel and chocolate heaven right here. I just want to devour this and so will you! 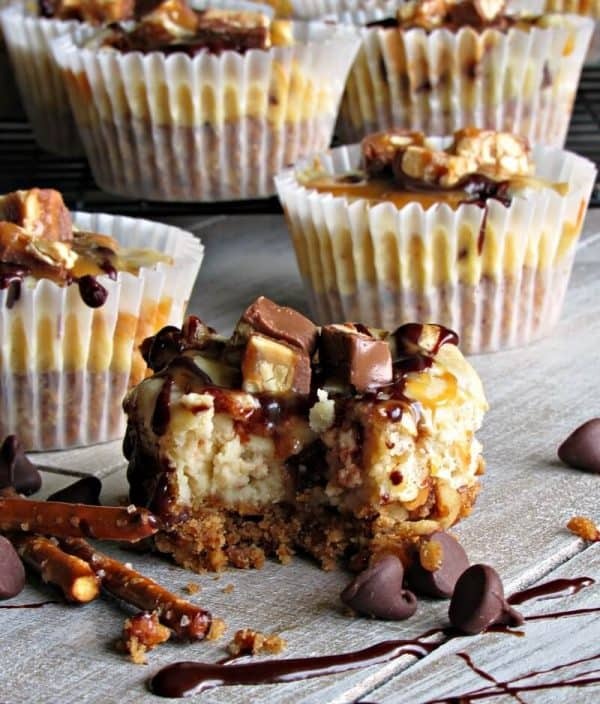 Who doesn’t love mixing two desserts into one? Well with the addition of Reese’s you technically have 3! This is a must make. 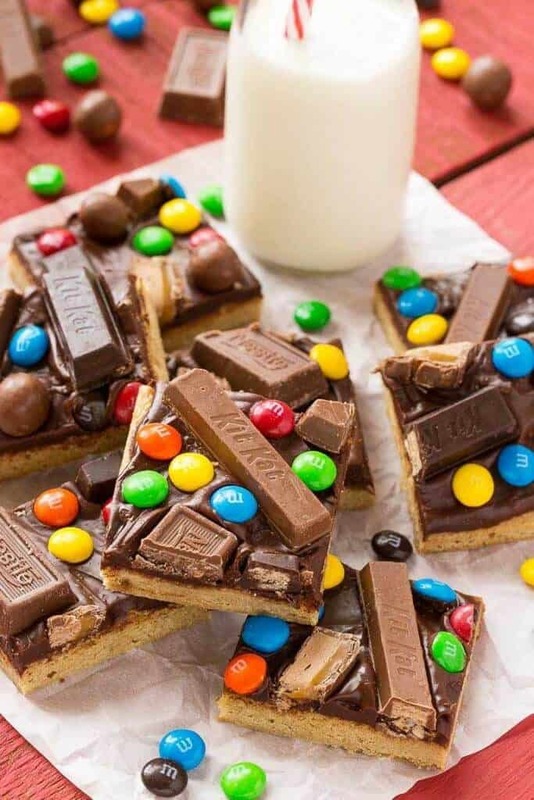 Blondies have long been my fave, but adding candy to them really set’s them over the top in a delicious way! Cheesecake bites for the win! 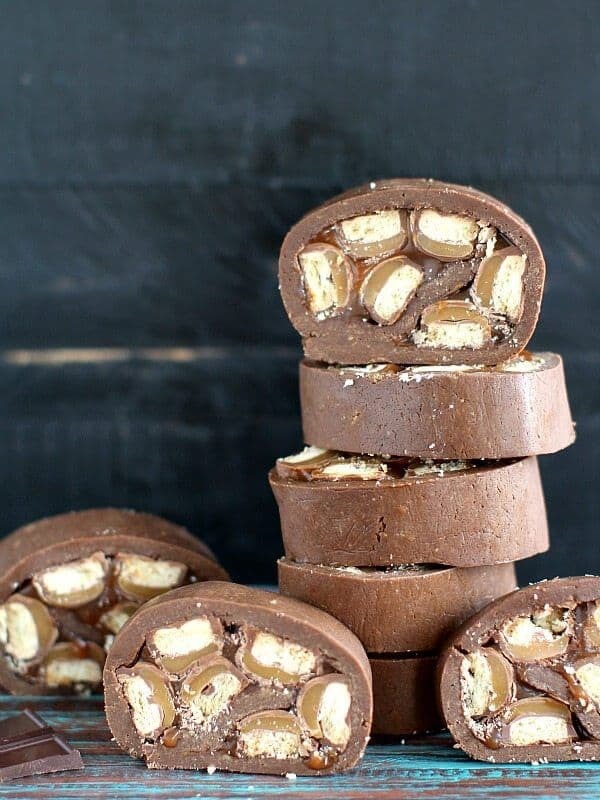 Just look at these moist candy bar filled hand-held treats! I know what I’m making next. Just look at these bars! The name says it all. These would be fun for the kids to help out with in the kitchen! 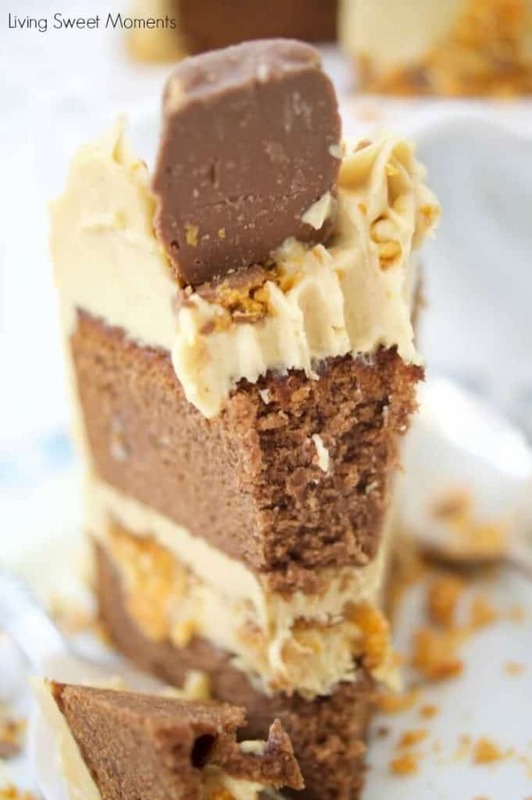 Cakes have long been my favorite dessert and this Butterfinger Cake really is calling my name, who can resist! Muddy Buddies for the win! 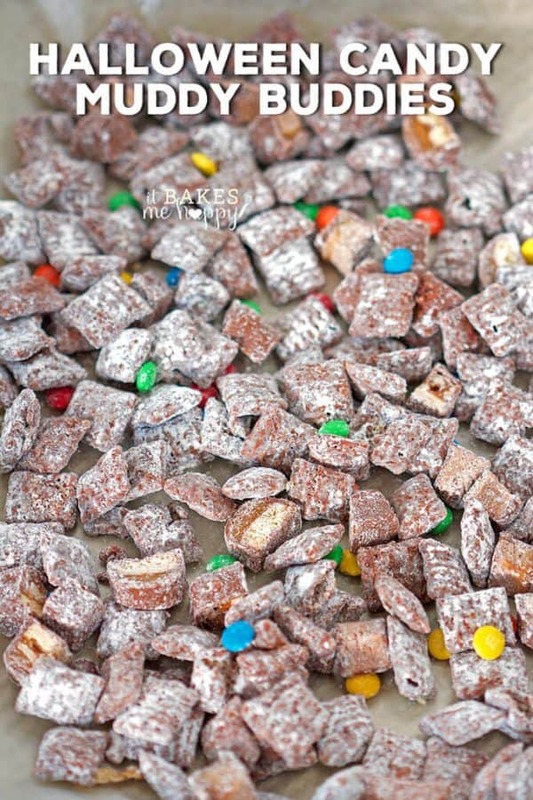 Such a classic treat to munch on, with chopped up candy bars and M&M’s I seriously want a handful! 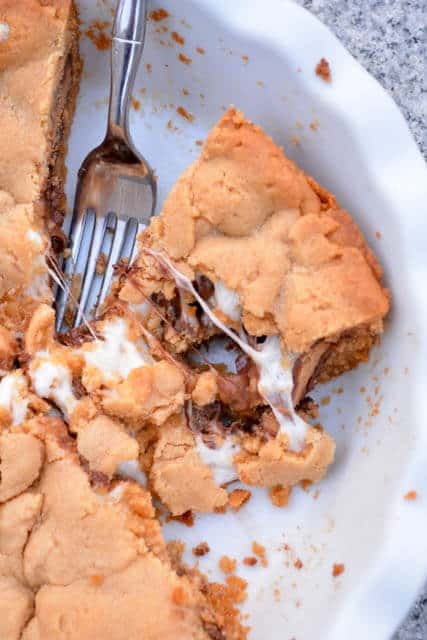 Twix is one of my favorite candy bars and adding them to cheesecake seriously get’s my mouth watering! Theres everything but the kitchen sink in these bars. They really are the epitome of leftover Halloween candy! 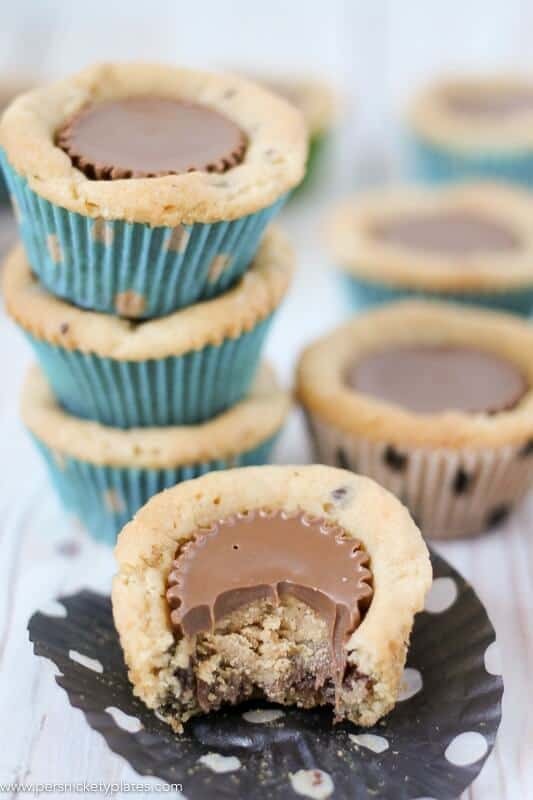 Cookie cups are seriously amazing, but adding chocolate chips AND peanut butter cups is genius! Tis the season for pumpkin. 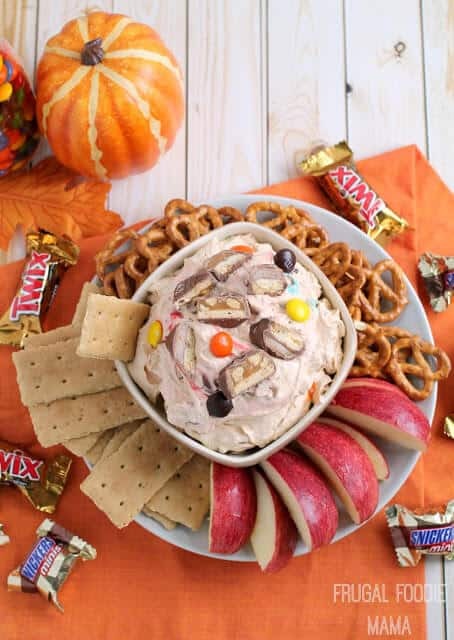 Why not add some candy to the already great and classic flavor that we all love! Well good morning gorgeous. 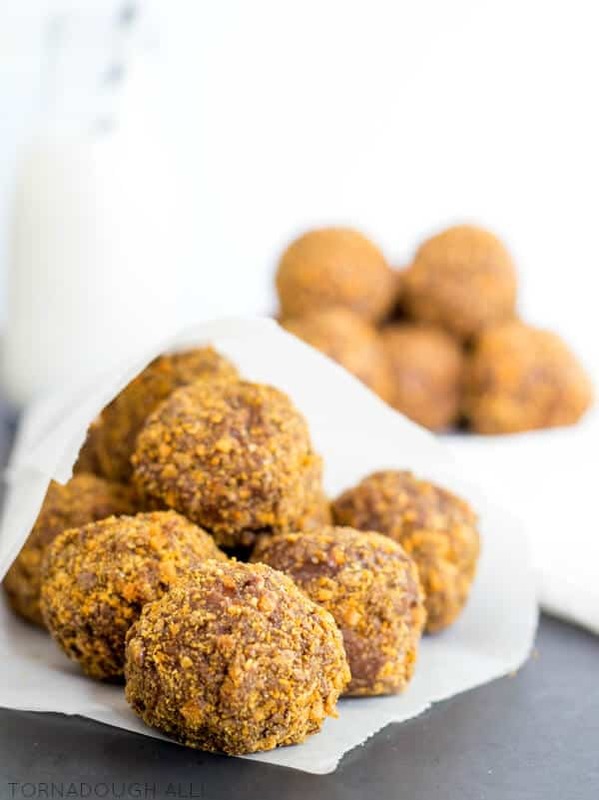 Now I can’t think of a better way I’d like to wake up then with these Butterfinger Donut Holes! Now this cheesecake is heaven right here. 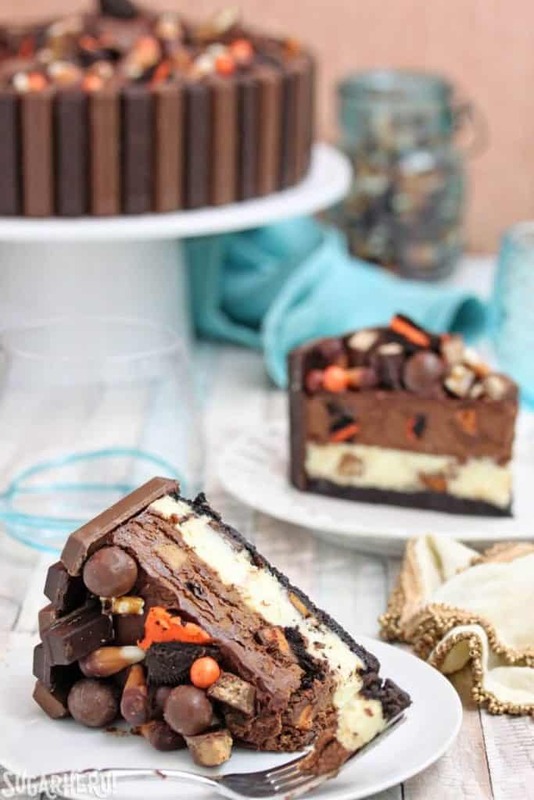 Layers of creamy cheesecake topped with candy, oh my, this is a must with your leftover candy! 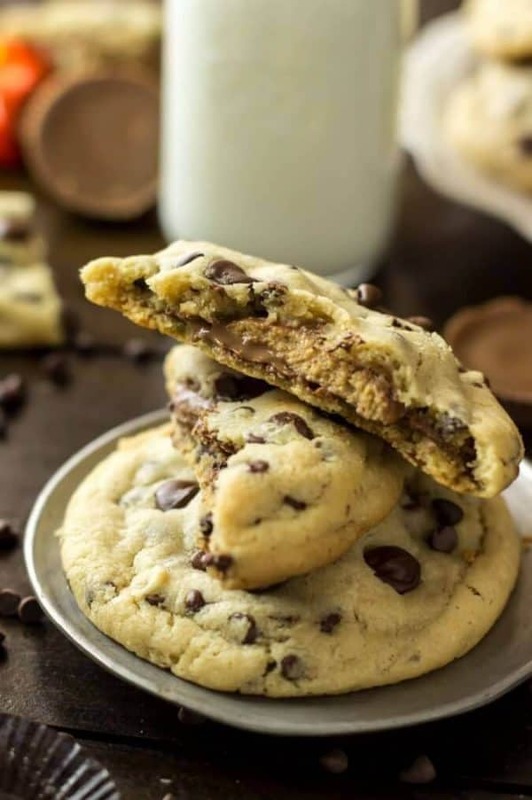 Stuff a classic cookie with peanut butter cups and you have yourself a whole new realm of deliciousness! This classic salad is essential at potlucks! 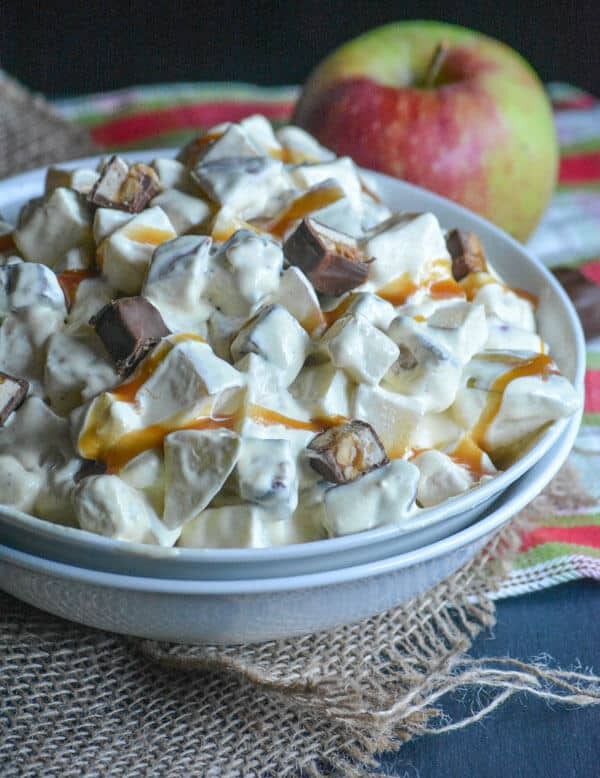 Use your leftover snickers with some delicious apples and make this tasty treat.